The wait for spring has me thinking about foraging for nettles and making a spring tonic! Spring Tonics have long been a staple in Western herbalism. Spring Tonics are typically made from mildly detoxifying and nutrient rich plants which support the elimination pathways to help 'cleanse' the body after a winter of eating heavier, richer foods. Throughout history, many populations were traditionally sustained by meats and preserved or dried foods, or root storage crops throughout the winter, without much in the way of a fresh leafy greens. Come spring it was common to take advantage of the first nutritive greens to emerge providing much needed nourishment at the end of winter. Today we can still benefit from spring tonics. Who doesn't feel sluggish this time of year? The ritual of getting outside, searching for, and gathering spring greens is a wonderful way to awaken the senses and soak in the increasing daylight. Stinging nettle and dandelion greens are Spring Tonic staples. Nettle shoots and dandelion greens are dense in the minerals and vitamins we often become deficient in during the winter. Both these greens help support liver function, cleanse the blood, and aid in digestion. Spring Tonics also stimulate the appetite and circulation, transitioning the body to the spring season. Burdock root is another ingredient I always add to my Spring Tonic. Burdock root is has a well known history as a blood purifier and can help improve stubborn conditions by clearing out impurities and toxins. If you feel sluggish and tired in the spring, burdock root may awaken your metabolism and brighten your days. Adding a small amount of fresh turmeric and mustard seed helps to warm the formula up, circulate the blood and add delicious flavor. Spring tonics can be prepared as a decoction (simmered in water for a lengthy time) or can be made as vinegar infusion. 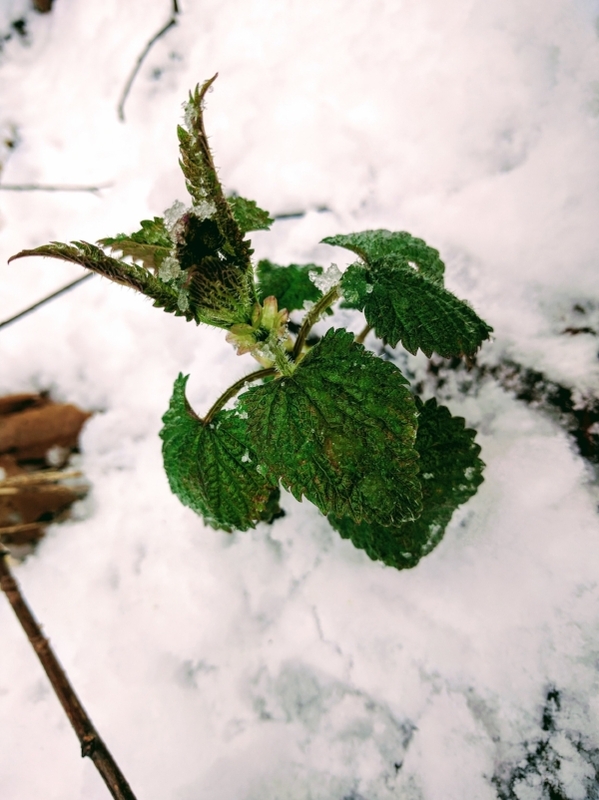 Last year I offered a Spring Tonic - "Celia's Stinging Nettle Tonic" - in the Spring Wellness Share. This year, because my workspace is in transition I will not be making a spring tonic to share. I would like to encourage everyone to experiment and make their own this year. I am sharing a recipe below, feel free to have fun and tweak it to suit the ingredients available to you and your tastes. For a vinegar infusion: chop everything finely, add to a jar. Fill with raw unfiltered apple cider vinegar until covered. Let the herbs infuse the vinegar for a month. Strain and enjoy. You can also make your spring tonic as tea by simmering all the ingredients in water! This is a great option if you don't want to wait a month! P.S. You can also include nettles and dandelion greens in your meals this spring. Shoot me an email if you want more info on how gather and prepare nettles.